Imagine eating cheesecake every day. While cutting. Here’s how. But first, a reality check, this cheesecake is one of the best tasting cutting foods I’ve ever tasted and it actually tastes and looks like cheesecake. Emphasis on cutting food. If you try it right after eating an actual cheesecake with 1/6th of the protein and twice the calories, obviously it won’t taste as good. You can also use 15 tbspn (10 in the cake; 5 in the topping) of powdered sucralose or aspartame based sweetener instead of the Natrena Classic liquid sweetener. 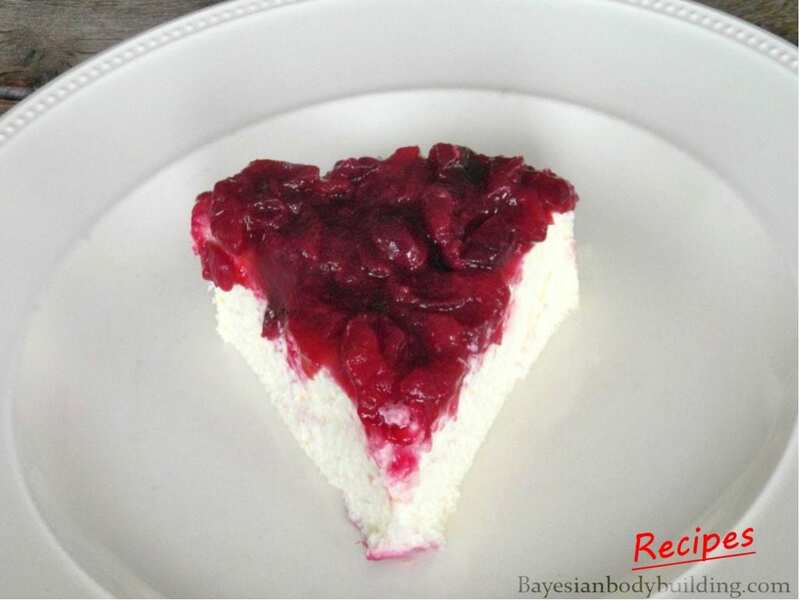 Greek yogurt and cottage cheese can substitute for the quark, but they’re slightly less tasty and give a thicker and drier texture, especially the cottage cheese. Note that the ingredients work best in this exact composition. Trust me, we’ve experimented with every ingredient and we’ve eaten literally over a hundred variations of this cheesecake. Optional: throw in some supplemental fiber to further increase satiety and make it even healthier. 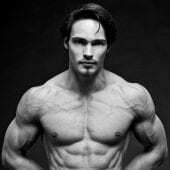 Extremely lean and high in protein. Good all-round mineral and vitamin profile. Contains natural probiotics that aid digestive health. 1. Preheat the oven to 428° F (220° C). 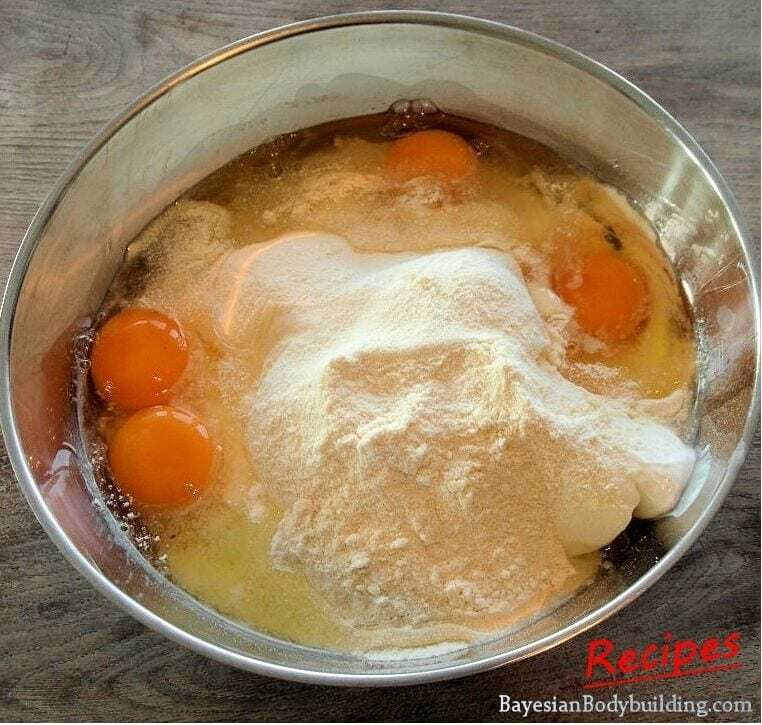 Put the cream cheese, eggs , quark, protein powder, 2 tablespoons of cinnamon and 3 tablespoons of sweetener in a bowl. Use a mixer to mix all the ingredients well. 2. 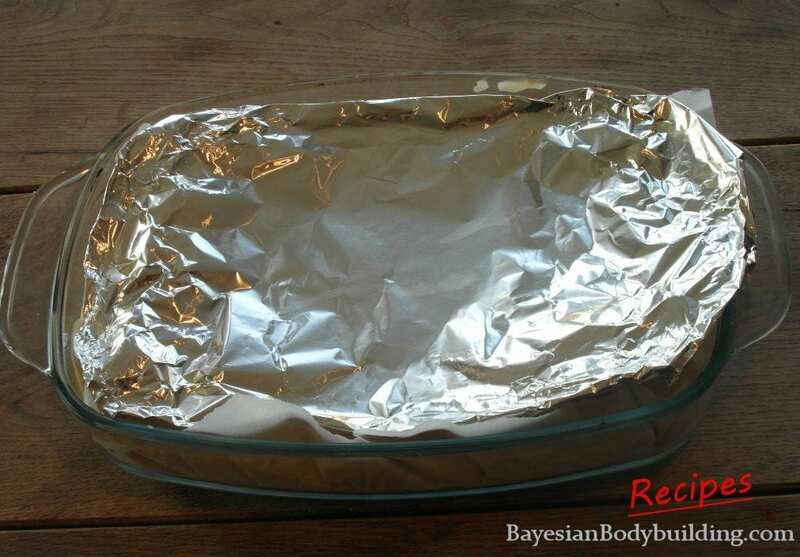 Line a cake pan or oven dish with parchment paper. Pour the mixture in it. Cover the mixture with tin foil. This prevents the cheesecake from getting too brown or even black on top. 3. 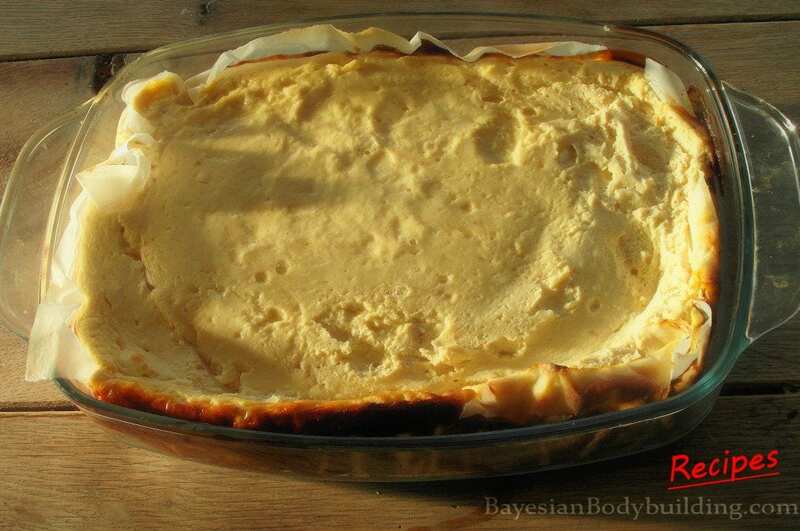 Bake the cheesecake in the oven for ~45 minutes. Meanwhile we’re going to prepare the topping. 4. Put the (frozen) cranberries, a small cup of water (200 ml), 2 tablespoons of sweetener and 1 tablespoon of cinnamon in a boiling pan. Bring it to a boil and let it simmer until the cranberries fully thaw (30-60 seconds). 5. Evenly sprinkle the xanthan gum into the pan with cranberries, one teaspoon at a time and stirring in between teaspoons. Continue stirring the sauce until it noticeably thickens (~30 seconds). Take the pan off the heat. 6. Check on the cheesecake. 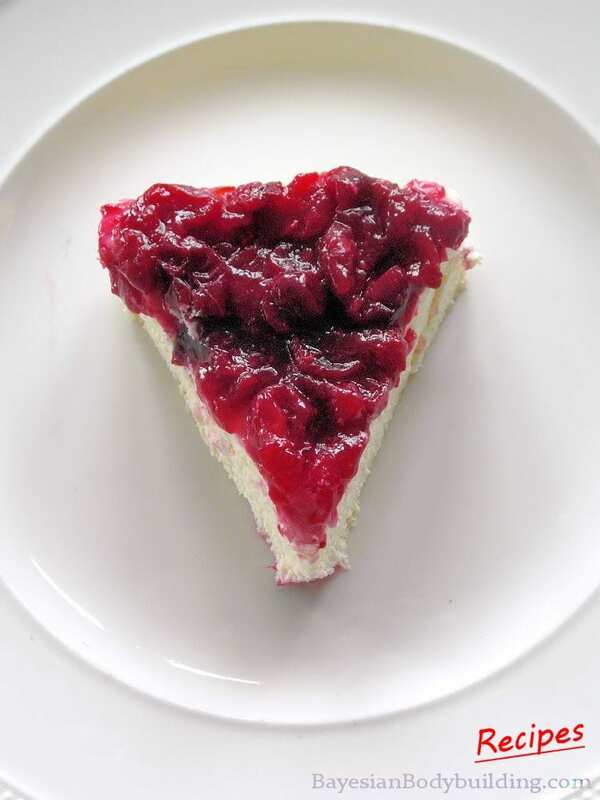 The baking time may vary per oven, so put a skewer in the cheesecake to test if it’s done. If the skewer comes out (almost) clean, it’s ready. 7. Let the cheesecake cool for ~15 minutes in the oven. 8. Take the tinfoil off. It should look like this. The top should still be soft. It will harden in the fridge. 9. If you want the cheesecake to swell, you have to let it cool in the fridge for ~2.5 hours before smearing or pouring the topping on. For the texture to obtain that thick cheesecake structure, it’s best to let it cool overnight before eating it. However, this is a lot of extra effort for little result. The cheesecake is already great if you pour the topping on as soon as it’s done and eat it once it’s cool, which takes about 3 hours in the fridge, depending on your fridge’s temperature setting.